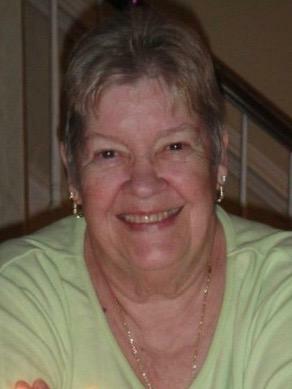 Mrs. Johnsie Linthicum Foster, of Raeford, passed away on Saturday, November 10, 2018 in her home at the age of 77. Mrs. Foster was born in Moore County on May 14, 1941, to the late John and Nannie Linthicum. She was preceded in death by her husband, Fred L. Foster, her brothers, John Linthicum Jr, Ed Linthicum, Billy Joe Linthicum, Lester Linthicum and her sisters, Dorothy Garfield, Thelma Williams, Dixie Freeman. She attended Raeford Church of God Prophecy. She graduated from Hoke County High School in 1959. She was employed with the A & P in Raeford and retired from Bobby Britt’s Food Stop in 2006. She is survived by her daughters, Leslie F. Hinson (Brian) of Raeford, NC, Stacey F. King (Cary) of Raleigh, NC, and Laura F. Rouse (Brandon) of Chesapeake, VA; five grandchildren, Dolan Hinson, Ethan King, Sara King, Jonathan Rouse and Emily Rouse; a sister, Jean Jones (Bobby) of Charlotte, NC. She is also survived by many nieces and nephews. She was lovingly cared for by Toni Caruso for the last three years. Visitation will be held from 6 until 8 pm Monday, November 12, 2018 at Crumpler Funeral Home, 131 Harris Avenue, Raeford, NC, and at other times at the home of Johnsie. A Memorial Service will be held Tuesday, November 13, 2018 at 11:00 am at the Church of God of Prophecy, 911 West Prospect Avenue, Raeford, NC with Pastor Charles Welch and Bishop Randall Snead officiating. Memorials may be made to: Raeford Church of God of Prophecy, Building Fund, 911 West Prospect Avenue, Raeford, NC 28376 or to: Hospice Foundation of Hoke County, P.O. Box 1584, Raeford, NC 28376.